Most Americans say the U.S. should not threaten North Korea with military action right now, but would approve of military action if diplomacy does not eventually stop its nuclear program. Opinions are highly partisan: Eight in ten Democrats oppose threatening military action, while nearly two thirds of Republicans favor it. 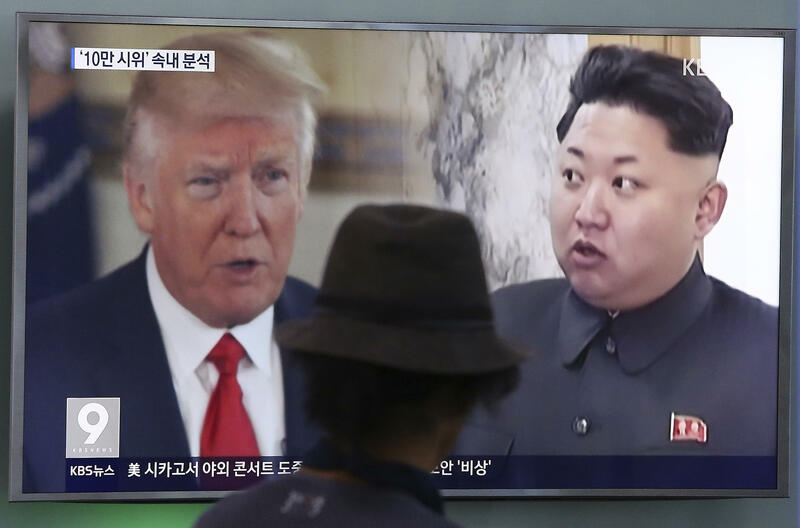 However, if the U.S. were to be unable to stop North Korea's nuclear program using diplomatic means, nearly 6 in 10 Americans say they would then approve of taking military action. Majorities of Republicans and independents would support military action in that event. Half of Democrats and a third of independents still would not. The public remains uneasy about President Trump's ability to handle the situation. Fifty-nine percent are uneasy about his ability to do so, while 38 percent are confident. These views are also very partisan, and similar to a little over a week ago. The public's confidence has not changed much since April. These views are also associated with opinions about threatening military action. Among people opposed to U.S. threats, eight in ten are uneasy about Mr. Trump's ability to handle the situation. Among people in favor of threats, a similarly sized majority is confident in his ability. This poll was conducted by telephone August 14-16, 2017 among a random sample of 1,223 adults nationwide. Data collection was conducted on behalf of CBS News by SSRS of Glen Mills, PA. Phone numbers were dialed from samples of both standard land-line and cell phones. The poll employed a random digit dial methodology. For the landline sample, a respondent was randomly selected from all adults in the household. For the cell sample, interviews were conducted with the person who answered the phone. Interviews were conducted in English and Spanish using live interviewers. The data have been weighted to reflect U.S. Census figures on demographic variables. The error due to sampling for results based on the entire sample could be plus or minus four percentage points. The error for subgroups may be higher and is available by request. The margin of error includes the effects of standard weighting procedures which enlarge sampling error slightly. This poll release conforms to the Standards of Disclosure of the National Council on Public Polls.